You know it’s a great line up when you’re sick as a dog and you go to a concert, thus my tardiness on this article and photos (sorry my fans). With my hair curled and camera at hand I made it to Lindi Ortega, Dean Brody and fellow Albertan Paul Brandt at Prospera Place Kelowna for a good’ ol country night of stories and music. 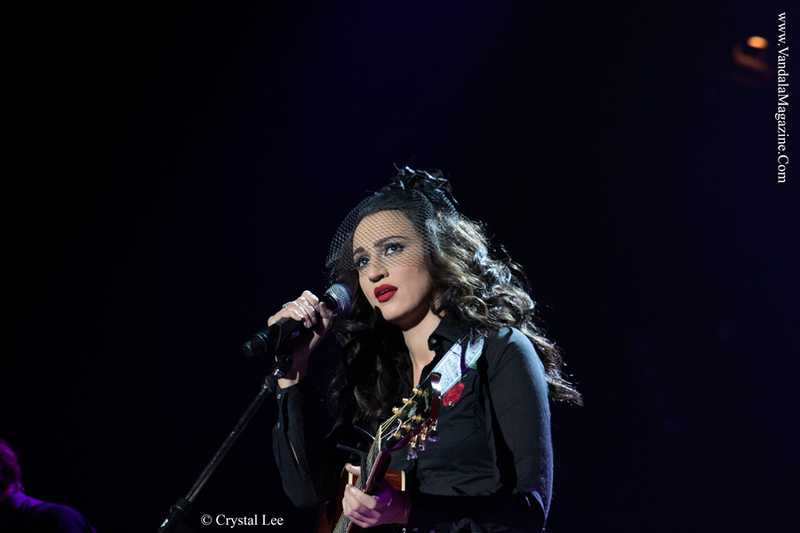 Many may have not known the openers name but I did; Lindi Ortega is one name everyone should get to know. She stepped on to the stage and there is this inner and outer spectacular beauty to this young woman automatically. One thing about Lindi is the essence to her that just glows and when she sings it captivates you. Her sound is classic country (some call it roots) with a very unique voice that is sweet and sultry with a little more modern music. When I watched her sing one can’t help but think of Patsy Cline just a sweeter sounding version. After seeing her perform it’s clear why she won the CCMA two years in a row for Roots Artist of the Year. The only downfall is she sang only a few songs but did come back for a short moment with Dean Brody to sing. Though it was sad not many knowing who she was due to not a lot of mention of her in the promo but I was like a cheer leader when security and fans were asking who she was, even gave spelling to one gentlemen. This man also stated ‘you don’t see or hear music like that these days’ [referring to Patsy Cline]. Though Dean Brody did mention her and complimented her talent later on. Speaking of Dean Brody this was a pleasant surprise as I never seen him live. It was not only his performance that I enjoyed it was his story telling since it gave the music a little more meaning. He talked about the writing his 8 year old daughter does. I did miss part of the story due to the fans beside me already cheering since they knew what song was coming up which was Upside Down. And this song is NOT about getting high from second hand marijuana but SECOND HAND SMOKE as he told in the story of his daughter and this song. Another favorite part of the show was when he chatted to the audience about writing in Nashville and got a little more personal. Dean talked about hillbilly music and I swear that word was mentioned and the crowd went nuts. One thing I know is country fans are loyal and this just proved it. His band was now standing in a half circle and talking about playing music in the kitchen, campfires and so forth. He also mentioned when he writes he thinks about what his fans would want to hear. 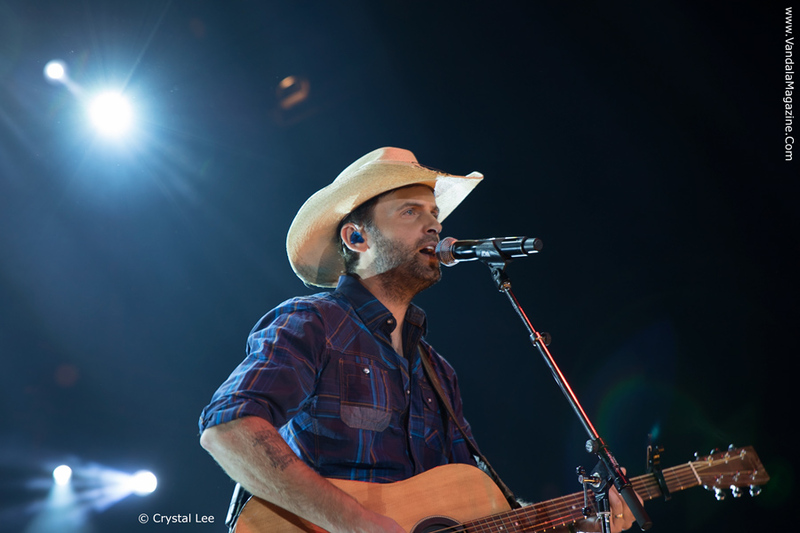 In that time Dean Brody made sure to introduce his band and said they were his family on the road. I admit part of my mind wandered and reminisced about being back in Alberta where I grew up and spent a good chunk of my life, camp fires writing music, country fields and more. Though I came back very quickly when the crowd was singing every single word to his songs. With songs like ‘Mountain Men’ I can say if he was to get the crowd going for Paul Brandt he did that, maybe even a little overload. Finally the man of the hour my fellow Albertan Paul Brandt came on to the stage. I have met him many times, and seen many concerts over the years. What I have seen is that he gives his all in every performance no matter what and this night was no different. I remember he was exhausted years back and stayed to finish the whole line of autographs. His amazing and beautiful wife was right by his side supporting him that night as well. As I have seen firsthand it’s obvious where his love songs come from his marriage. As for this show it was amazing like every other show he does. 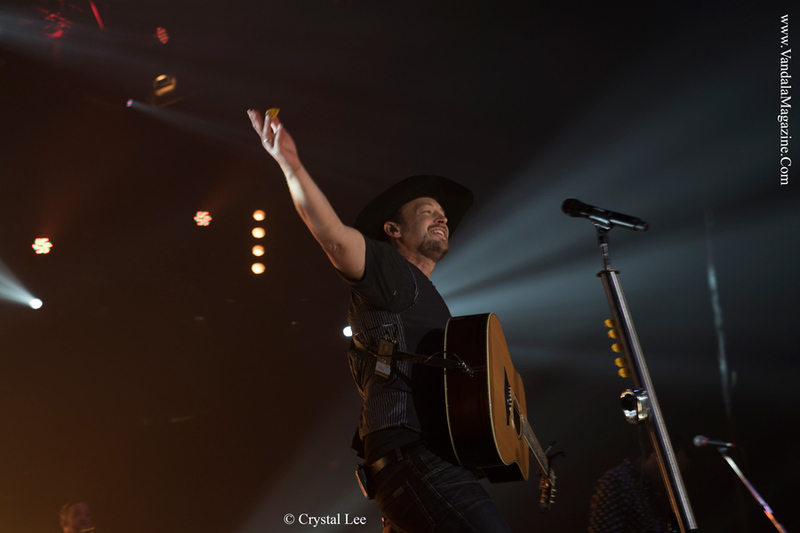 Paul Brandt came out full of energy and the crowd was in full energy. I was in the photo pit while he sang ‘Forever Summer” and I found myself singing along and as a photographer not the best thing to be doing. Large inflatable balls went into the crowd and fan singing commenced; not sure if it really ever stopped. It was one of the smallest photo pits to move around in but the most enjoyable as every song Paul gave his all. He eventually moved to the center of the crowd on a small area with his band and sang many of his hits. One of which was ‘I Do’ and at that moment I missed my husband. Couples were dancing, the ones around me holding hands like they were in young love again. It seemed to be something that happened every slow song he sang. In it all every song it felt like Paul took in all the energy from his fans and he continued to make them happy. I may sound like a gushing fan of Paul Brandt but it’s actually respect for keeping true to his Albertan small town roots. 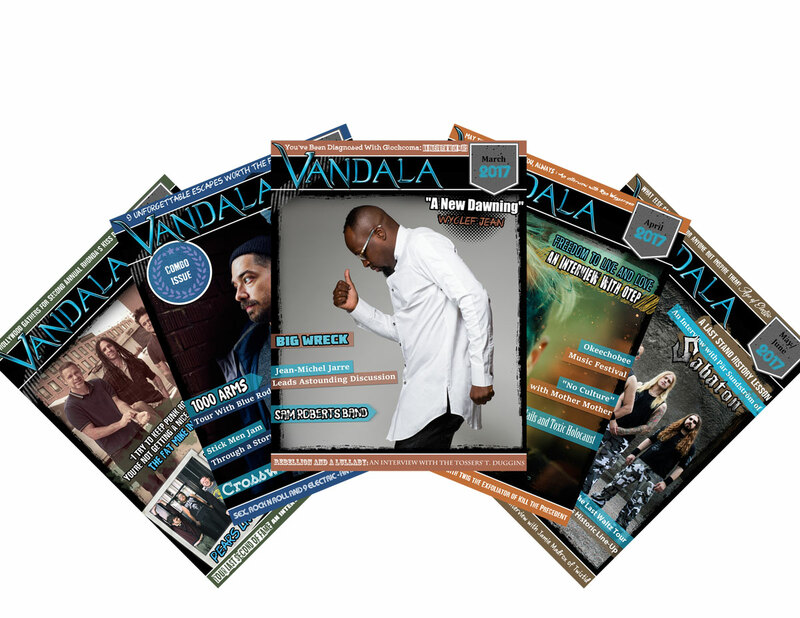 In this industry today you see the ‘show’ and with Paul Brandt you get his heart, passion and who he is in his music. Or maybe it’s something about growing up in rural Alberta. It’s a different lifestyle and I get a little home sick at times for wheat fields, mountains and family and friends as many of Paul Brandt songs talk about. Back then it was no electronics, heck some of us barely had 3 channels on the TV and a ‘party line” phone line. But this night Brandt sang ‘ Small Towns and Big Dreams’ which is always a good fix for home sickness and reminder of home. This is one of those songs that Brandt can really get interactive with the crowd by singing with them and adding in their city in the song. Overall Paul Brandt set was interactive and amazing. I sadly left a little early due to the fall flu/cold and I know I missed the song ‘Convoy’ with the giant rubber ducky in the crowd plus much more. But I weaved through the crowd singing and through cowboy boots, hats and best country attire. Besides I was really missing my husband and just wanted to go home and dance with him.